When I speak to people about pomades, the general consensus is that brands vary based on it’s designed purpose. In other words, if you have 4 different brands, they are usually formulated with particular hairstyles or hair-types in mind. 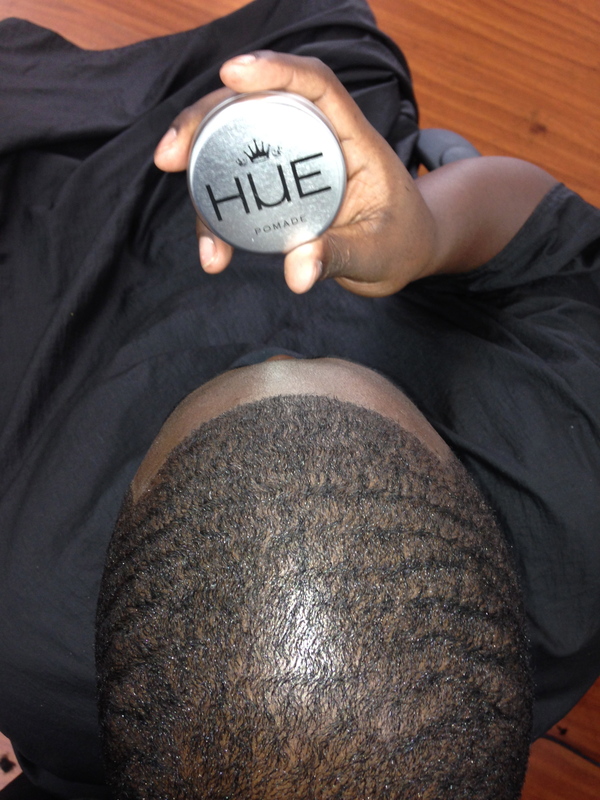 Despite the segmented nature of the hair care and skin market; Hue For Everyman is serving the needs of many, with one premium pomade. Up until now, no pomade brand has ever designed one product to serve the needs of Africans, Asians, Latins and Middle Easterns at the same time. 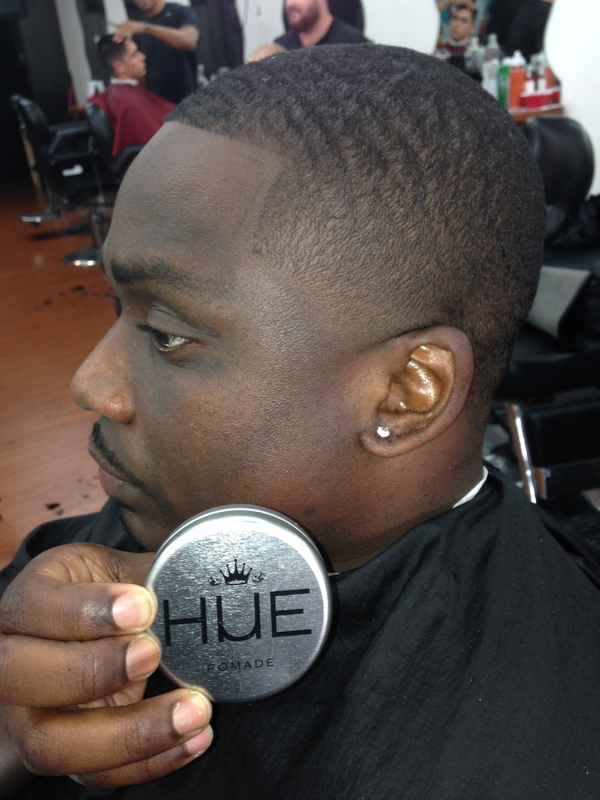 Hue For Everyman is changing the hair market while addressing needs of many. Hue’s formula of all natural ingredients, is as unique as it’s purpose. 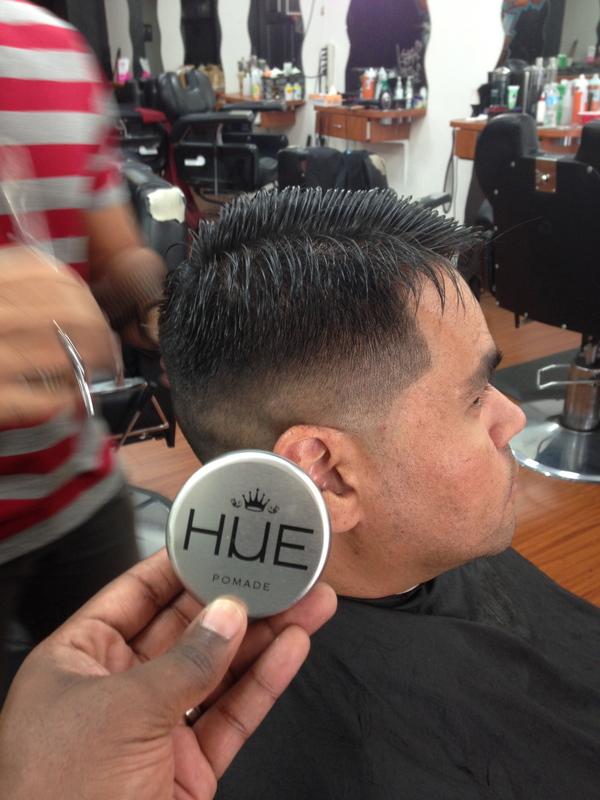 While most pomades are comprised of mostly artificial ingredients, Hue’s formula consist of all natural ingredients that protects the quality of hair. No Silicones, No Parabens, and No Petroleum. This formula is comprised of mango, shea butter, argon oil, and primrose oil all ingredients promote optimal hydration and conditioning. The first thing you notice is obviously the packaging, as a premium product it definitely looks the part. Next, what you notice is the light yet noticable fragrance, it is sure to compliment any cologne you or client may choose. This pomade itself is not thick or stiff, which isn’t the case with many pomades. 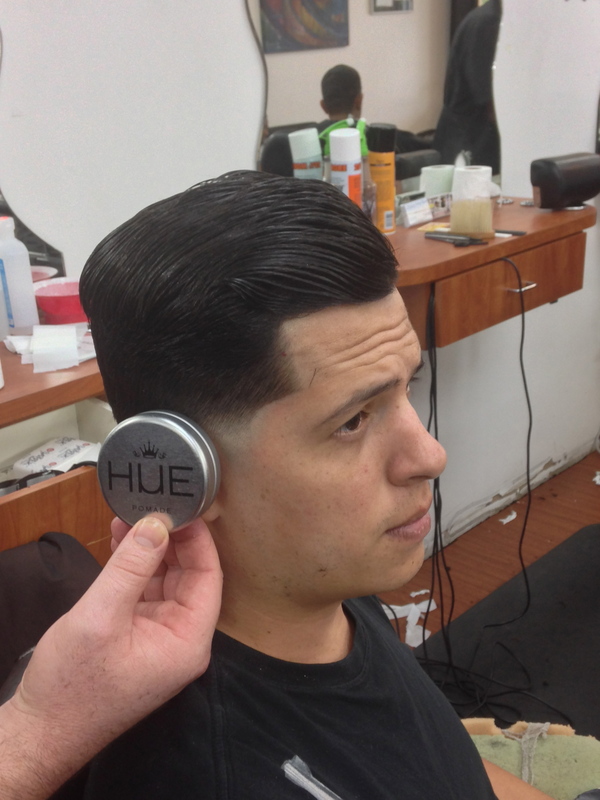 This pomade can be effortlessly scooped up and be applied in the hair with a comb. When you comb or brush it through the hair, you’ll find that it applies evenly, quickly and easily without any heavy clumps. What makes it’s even better is that it washes off of your hands effortlessly. After taking a few weeks to sample the product along with few customers and barbers, the feed back is definitely positive. So positive, that I almost got jacked for my own sample. That says something. This isn’t a single purpose pomade, it is a conditioner that stand up to a long day of demands and even holds well in unrelenting Florida humidity. This product can last for days in wave-length hair cut or comb-over hairstyles. It washes out easily and doesn’t strip the hair of moisture or nutrients. ByBarbers4Barbers strong recommends this product..
Special thanks to my Krazy Kuts Family (Dblock and Travis) for assisting me with this review.